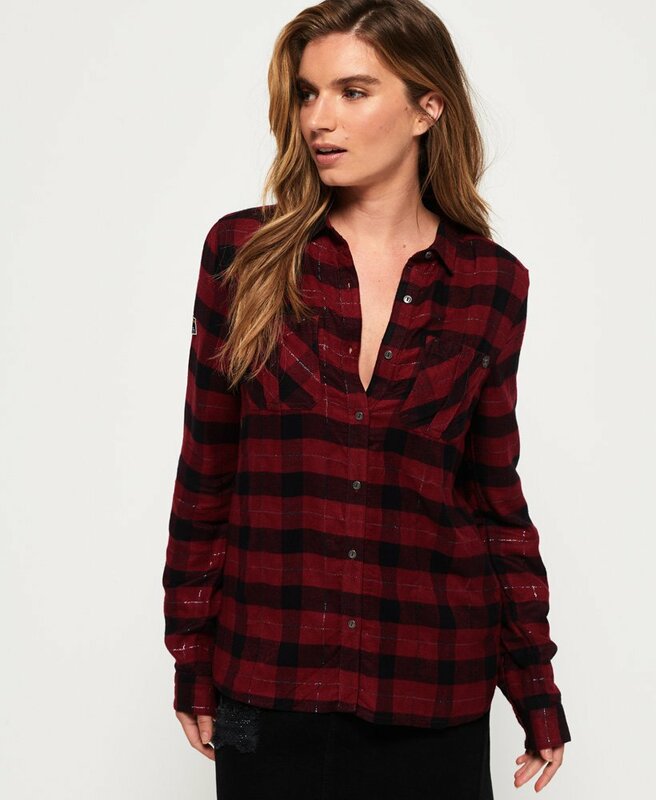 Superdry women’s Aria check shirt. This button down, long sleeve shirt features twin chest pockets, button cuffs and a dipped hem. The Aria check shirt is finished with a small Superdry metal badge on the pocket and Superdry logo tab on the sleeve. This is a great item for layering this season, simply throw over a cami top or layer up with one of our famous parka coats.